MV Agusta has been cooking up a concept with their neighbours at Zagato for a few months now – releasing a teaser video here and a teaser video there. Despite getting the world ready for a full unveil in early September, they have just released the first proper look at the ‘F4Z’, and as you can see, its ‘unique’. We’ve been waiting with baited breath to see what came from this Milanese partnership, all the time wondering how Zagato was going to introduce its signature roof bubbles into motorcycle design language. While MV Agusta have been “sailing on rough sees” according to CEO Giovanni Castiglioni, something tells us that this won’t be the bike that sails them out of that storm. Based on the Italian firm’s fairly ancient F4 1000cc four-cylinder superbike, the F4Z has taken one of motorcycling’s most beautiful bikes and made it slightly more eyebrow raising. 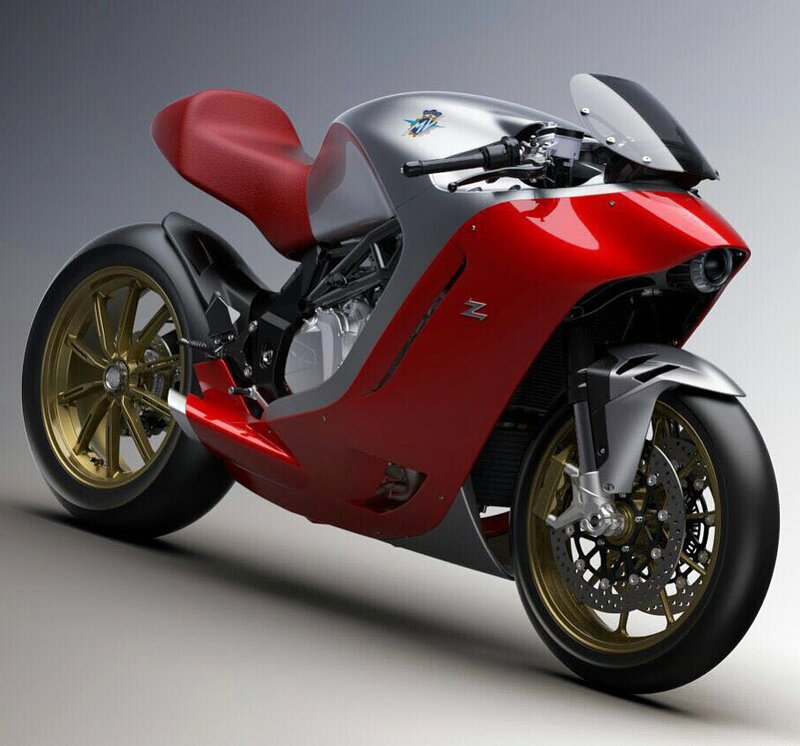 While there’s no doubting the brilliance of the F4’s mechanical package, shared with the F4Z, that pushes out over 200hp in RR form – we’re sure there will be some that doubt whether Zagato has improved the bike’s visual appeal. It’s not yet clear whether the F4Z will join the firm’s popular three-cylinder line-up, or whether it will remain a concept, but let’s hope that the Milanese firm has the money (and balls) to put it into production. While we might not agree that Zagato has improved upon the F4’s looks’, we applaud the fact that it exists. After all, different can be beautiful.